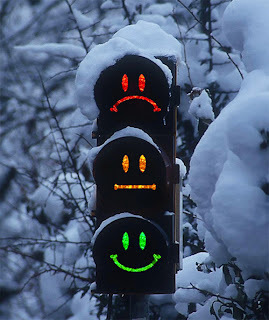 Why are traffic lights red, green and yellow? “On a traffic light green means go and yellow means yield, but on a banana it’s just the opposite. Green means hold on, yellow means go ahead, and red means where the hell did you get that banana at…” more on Why are traffic lights red, green and yellow?